This year, CFHS students have been raving about the game Tetris. the initial release of Tetris was on June 6, 1984, and it has been a classic for gamers ever since. “As of recently, I have become severely addicted. Just about every class I see someone on the grind,” said freshman Ronan Fritz. Teachers have noticed a significant rise in Chromebook usage and you could say some are puzzled why. 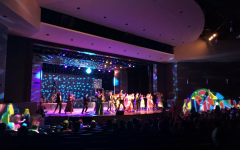 “Not only have students been going nuts about it but I think I saw a teacher playing once, too,” said Fritz. However, Social studies instructure Mr. Saylers thinks differently. “If I see a student even thinking about Tetris I give them a zero. I’m usually fine with people gaming and let them suffer the consequences but this Tetris craze is getting a little out of hand,” said Mr. Saylers. Since its creation, there have been countless variations on the classic game, most recently Nintendo released “Tetris 99” this year on the Nintendo switch. The game, or one of its many variants, is available for nearly every video game console and computer operating system, as well as on devices such as graphing calculators, mobile phones, and Chromebooks. This allows easy access for students during lunch, in the hallways, and in most cases the classroom. 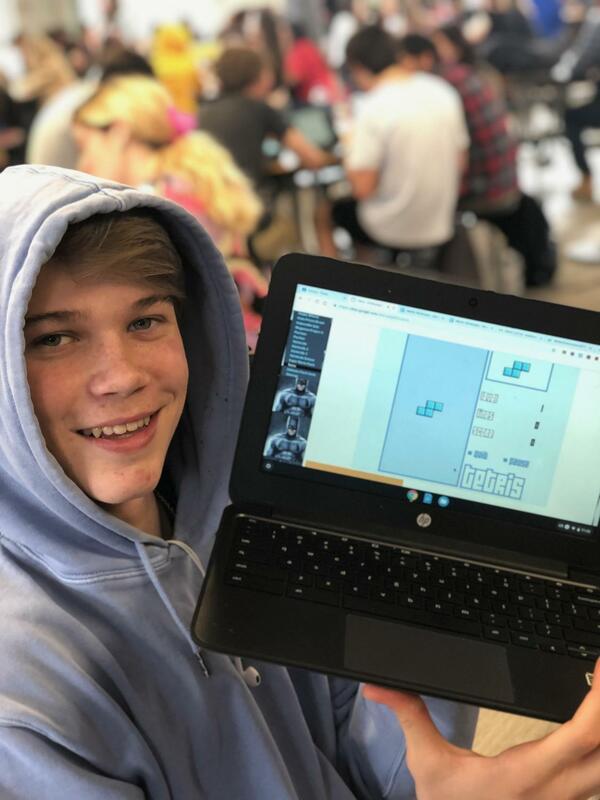 “I’ve heard of people playing Tetris in class, but I’m usually too busy working during class, I would never dare to do such a thing,” said junior Charlie Kukla. The epidemic can have some serious consequences, too. “The rise of Tetris this year has caused quite the decline in grades. This is much more serious than I first thought,” said Mr. Salyers. Games are typically scored by “lines” completed. The best player at CFHS appears to be junior Will O’Brien, who holds the current school record at 207 lines. O’Brien can be found playing Tetris in just about every class every day. “For me, it’s not just a game, it’s a lifestyle,” said O’Brien. “Most people strive for around 100, these kinds of numbers are unheard of,” said Fritz.